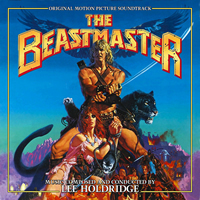 Dragon’s Domain Records, to be distributed through buysoundtrax.com, presents the soundtrack release of THE BEASTMASTER, the 1982 fantasy classic directed by Don Coscarelli (PHANTASM, BUBBA HO-TEP, JOHN DIES AT THE END), written by Coscarelli and Paul Pepperman, starring Marc Singer (SOMETHING FOR JOEY, V), Tanya Roberts (CHARLIE’S ANGELS, SHEENA), John Amos (GOOD TIMES, ROOTS, COMING TO AMERICA), Joshua Milrad and Rip Torn (KING OF KINGS, EXTREME PREJUDICE, MEN IN BLACK) as Maax, featuring music composed and conducted by Lee Holdridge (JONATHAN LIVINGSTON SEAGULL, SPLASH, BEAUTY AND THE BEAST). THE BEASTMASTER is a limited edition release of 1000 units. The first 100 copies will be autographed by Lee Holdridge. 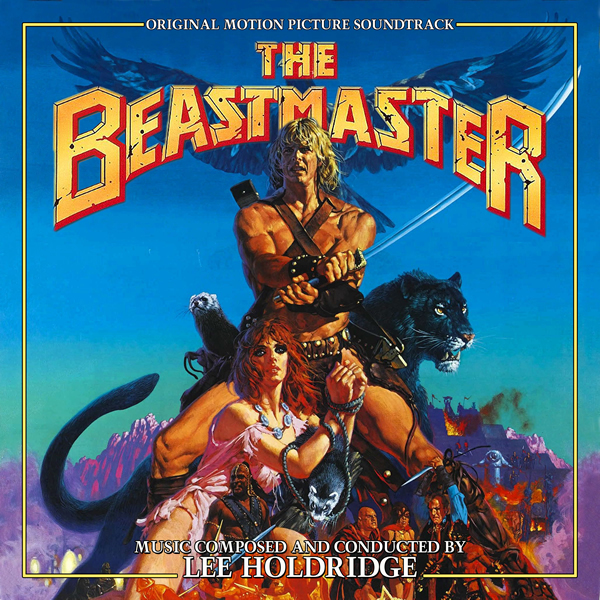 THE BEASTMASTER will begin shipping the week of February 22, 2016.